SANTIAGO, Sep 17 2014 (IPS) - Latin America and the Caribbean, the world’s most unequal region, has made the greatest progress towards improving food security and has become the region with the largest number of countries to have reached the first Millennium Development Goal (MDG) of halving the proportion of undernourished people. However, social and geographic inequalities persist in the region, and rural women and indigenous people continue to face high rates of food insecurity and poverty, says the State of Food Insecurity in the World (SOFI 2014) report, which underscores Brazil and Bolivia’s anti-hunger policies as successful strategies. “These policies have had a general impact and all groups have benefited, but there are segments that need greater specificity when it comes to policy design,” said Raúl Benítez, regional representative of the Food and Agriculture Organisation (FAO), at the regional office based in Santiago. SOFI 2014, presented Tuesday Sept. 16 in Rome, revealed that the proportion of people suffering from undernutrition in Latin America was reduced from 15.3 percent in the 1990-1992 period to 6.1 percent in 2012-2014. That means the region has reached, a year before the 2015 deadline, the first of the eight MDGs adopted by the international community in 2000: to eradicate extreme poverty and hunger, whose concrete target is to cut in half the proportion of people who suffer from hunger, from 1990 levels. This huge achievement is mainly due to the political commitment assumed by governments in the region, Benítez said. He pointed out that this was the first region to commit itself to the target of zero hunger, by adopting the Hunger-Free Latin America and Caribbean Initiative 2025, which was reaffirmed by the region’s leaders at the last few summits of the Community of Latin American and Caribbean States. According to the report, 14 countries in the region have reached the first MDG: Argentina, Barbados, Brazil, Chile, Cuba, Dominican Republic, Guyana, Mexico, Nicaragua, Panama, Peru, Saint Vincent and the Grenadines, Uruguay and Venezuela. And Benítez added Dominica to that list. Four others – Bolivia, Colombia, Ecuador and Honduras – are expected to meet the goal in 2015. Brazil was cited as a successful case study by the 57-page report produced by FAO, the World Food Programme (WFP) and the International Fund for Agricultural Development (IFAD). “Brazil has been working steadily for years to eradicate food insecurity,” Benítez stressed. Latin America’s giant has adopted strategies like the Bolsa Familia family stipend programme, which began to be implemented in 2003 as part of the overall Zero Hunger plan. 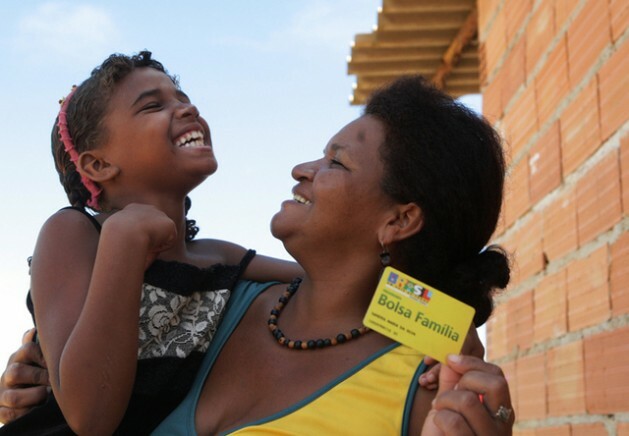 Bolsa Familia is now the world’s largest cash transfer scheme. The result was an 82 percent reduction in the proportion of malnourished people in Brazil between 2002 and 2013. Today, 3.4 million – or 1.7 percent – of the country’s 200 million people suffer from food insecurity. Elizete Rimas, 53, and her 15-year-old son are an illustration of those who benefit from the Bolsa Familia cash transfer programme. They live on a small plot of land in Seropédica, 70 km from Rio de Janeiro. Rimas is an unemployed single mother who has high blood pressure and cannot engage in strenuous activities. Their family income is no more than 150 dollars, half of which comes from Bolsa Familia. Despite the advances made, inequality is still a problem in the region, affecting those who have historically been the most marginalised: rural women and indigenous people. According to United Nations agencies, 40 percent of rural women over 15 in the region do not have their own sources of income and the proportion of poverty and extreme poverty among women has increased despite the reduction in poverty levels. The poverty rate among indigenous people in some cases is as much as six times higher than the rate for the rest of the population. 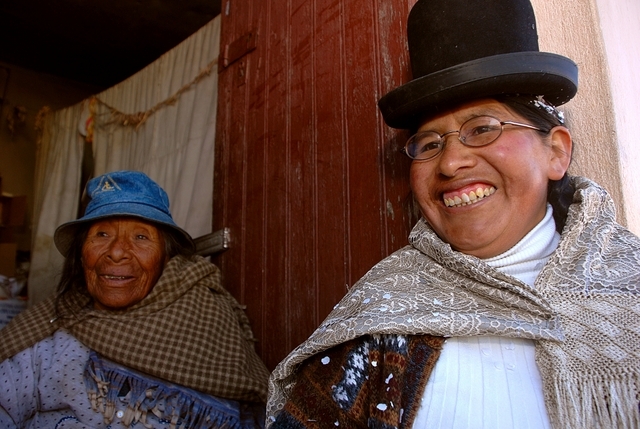 Bolivia, one of the seven case studies mentioned in the SOFI 2014 report, is cited as an example of how to tailor policies to target especially excluded segments of the population. Ecuador is also mentioned. “Bolivia has established processes and institutions that include all of the affected groups, and principally indigenous people who have historically been the most marginalised,” Benítez said. “Above and beyond the specific characteristics and situation of each nation, we can learn from the Bolivian government’s political commitment to solving the problem,” he added. In Bolivia, the strong focus on food security and anti-poverty policies has led to a rapid reduction in hunger, which fell 7.4 percent from 2009-2011 to 2012-2014. And chronic malnutrition among children under three was brought down from 41.7 percent in 1989 to 18.5 percent in 2012. Benítez said Bolivia “stepped up its economic and social policies targeting the most vulnerable groups. “There was a large gap in productivity, and for that reason economic policies on access to land and financing and on technology transfer have been more focused on the smallest, most vulnerable farmers,” he explained. He noted, for example, that seed programmes in the country’s Andes highlands region have helped bring about a significant boost in productivity among small farmers simply by giving them access to better seeds. “I’m not saying it’s easy, or simple, or that we can fix it overnight – but when there is a decision to attack the problem, the results come,” he said. Despite the strides made, the region continues to face a major challenge: becoming the first to completely eradicate hunger. “We have many elements that give us room for optimism: we are a food-producing area, there is a strong political commitment, and there is a great deal of solidarity among the countries in the region,” he said. “The challenge is how to accelerate and intensify that process and how to coordinate better in order to become the last generation of people in Latin America and the Caribbean to coexist with hunger,” he said. With reporting by Fabíola Ortiz in Rio de Janeiro.